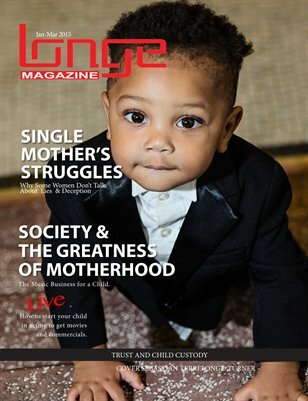 The Longe Magazine was created for today's avid and trendy reader looking for the inside track in business, finance, entertainment and fashion. 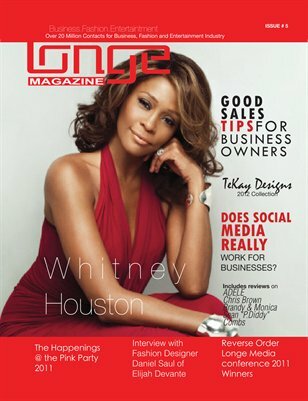 Unlike other magazine companies that use manipulative tactics to attract their readers, who are then left sorely disappointed for not receiving their money's worth of information, Longe sets out to create a magazine focusing on the reader's craving for an informative source that provides a clear direction, resources and testimonies from entrepreneurs while simultaneously not having the stylistic tone of a lecture. Moreover, the information provided in the magazine would be easily applicable to the real world as the reader takes on the challenging yet rewarding task of starting a business. 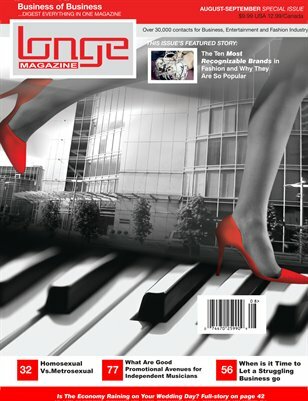 Longe Magazine is a dynamic reading piece that covers the essential details of how a business becomes successful. It will enlighten aspiring entrepreneurs with information on business structures and operations for the corporate, entertainment and fashion world. Its purpose is not only to provide success stories about businesses, but also to help create the future success stories for others. To create a master reading piece that can become the manual for an individual who needs the push to start his or her own business. Furthermore, to enhance the knowledge of those who already own a business and need some insight on what can potential benefit or harm their business. Reach the right Audience... Business buyers and decision makers you want as customers. 10% have a general interest in the topics that Longe Magazine writes about. Circulation magazine units per quarter and 160,000 per year. 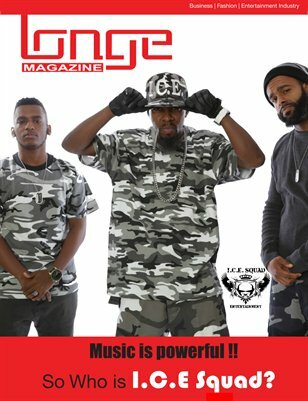 The magazine will be distributed nationally through news-stands and retail vendors such as Barnes & Noble's, Borders and others. Brand your company and deliver your message with Banner Ads and Spotlight Ads on www.longemagazine.com. Product Spotlights may be substituted with Hosting Spotlight ads. ..Spotlight ads contain 2 lines: a 40 character max headline and a 200 character max second line. Flash ads must support click-Tags to report the number of click-Throughs. Full Page 8 3/8 x 10 7/8"
1/2 Page Horiz/Vert 8 3/8 x 5 7/16 or 4 3/16 x 10 7/8"
1/4 Page 4 3/16 x 5 7/16"
Electronically: We prefer print-ready PDF files. Uncompressed, CMYK TIFF files also accepted. Safety Margins: Allow 3/16 inch safety margin on top and bottom and 5/16 inch safety margin on sides of page between live materials and trim edge. For Full Bleed, add 3/16 inch on bleed sides. Accounts with no credit terms must make payment at the space reservation deadline. Credit Cards: We accept Visa, Master­Card, American Express and Discover.